What a lovely and pleasant home on corner lot with three bedrooms and two and a half baths!! There is also a large bonus room above the garage. Very pretty wood floors with carpet in secondary bedrooms and tile in bathrooms and laundry room. Gorgeous granite counter tops and cabinets in kitchen and bathrooms. Fully fenced backyard. Amazing vaulted ceiling in the living room. Neighborhood has fantastic walking, running and biking trails. 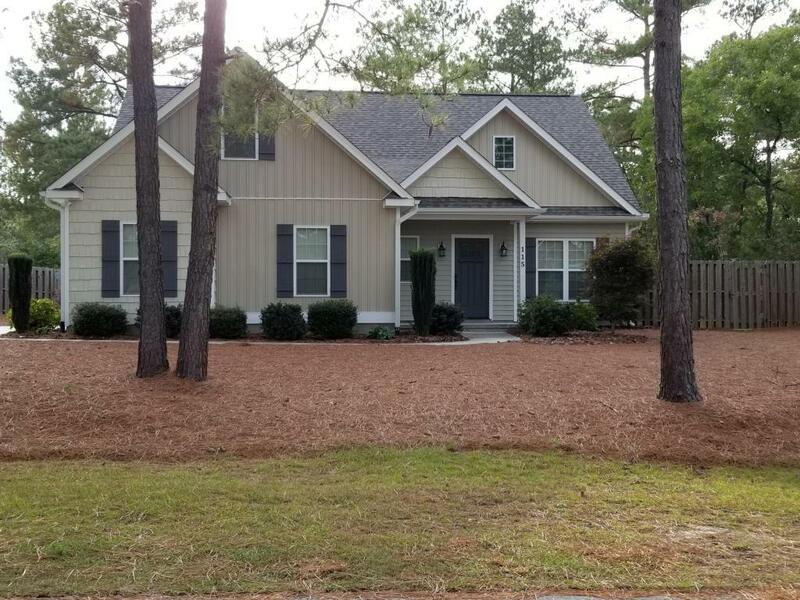 Close to the Village of Pinehurst, First Health fitness center and hospital. Also close to Rassie Wicker Park and Canon Park.